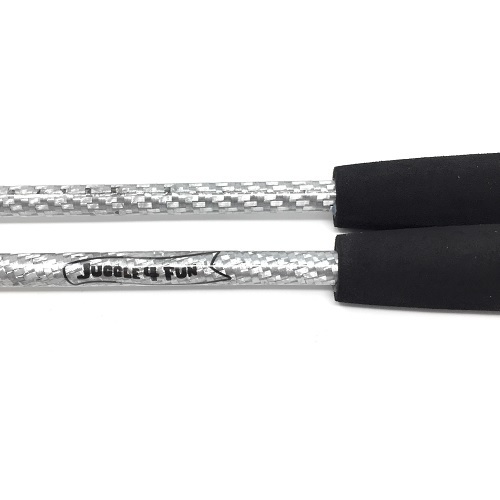 These silver carbon diabolo handsticks are a little more expensive, but have three main advantages over wooden handsticks and fiberglass handsticks. Firstly, because they are made of carbon, they virtually indestructable, and if taken care of, will last for as long as you want them to. 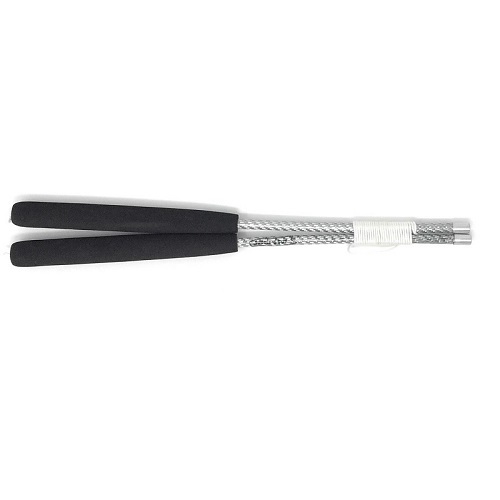 Secondly, they are really light, even compared to fibersticks, so diabolo players that are practicing for more than 20 or 30 minutes will feel a lot less tired in the arms. Also, when you are doing tricks that require you to release the handstick, it is better to have a lighter handstick flying through the air - just in case it accidentally hits you somewhere. 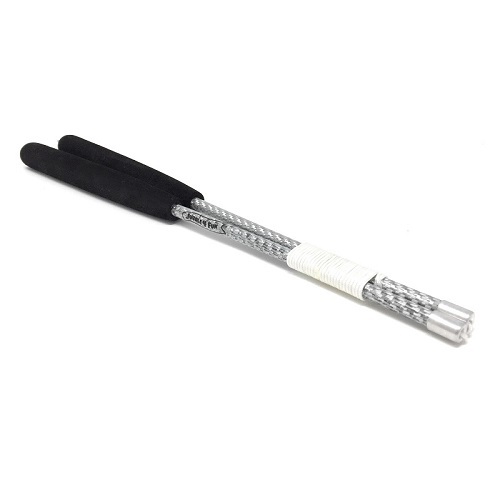 Thirdly, these silver handsticks look great and will stay looking great for a long time, so if you are doing a show - even a small show in front of family and friends - these sticks will add a bit of polish to your performance!